The Radiation Science & Engineering Center's administrative hours are Monday through Friday from 8 a.m. - 5 p.m.
For tour requests contact complete the Tour Request Form or call 814-865-6351. Visitors to the Radiation Science & Engineering Center may park in the main lot when granted access at the main gate. Visitors must schedule each visit in advance and provide photo identification upon arrive. You may access the video using your Penn State credentials. If you are not affiliated with Penn State, please create a "Friends of Penn State" account when prompted. The Radiation Science & Engineering Center (RSEC) was established to manage Penn State's comprehensive nuclear research facilities, including the Breazeale Nuclear Reactor, Gamma Irradiation Facility, Radioactive sources and Radiation measurement resources. 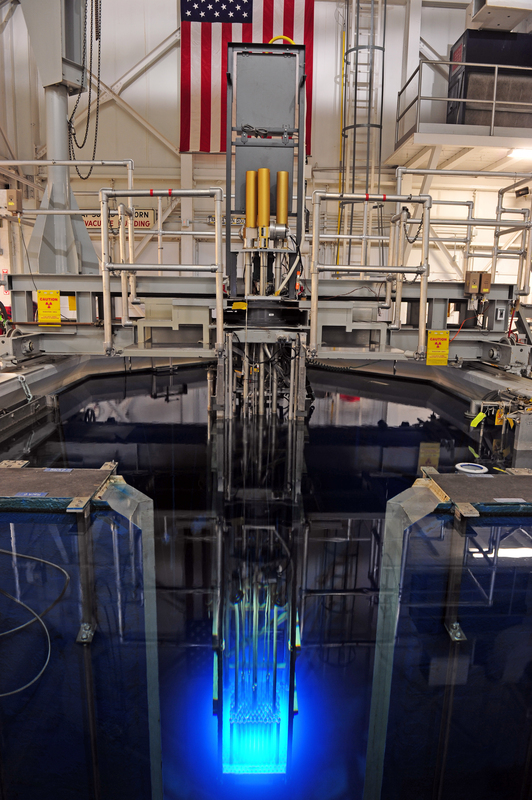 The RSEC provides safe nuclear analytical and testing facilities in support of the research and education activities of faculty, staff, and students at Penn State.